For as long as anyone can remember, the people of Buffalo have been fanatically devoted to sports. Since 1960 for the Bills and 1970 for the Sabres, relatively large, rabid fan bases have supported those squads through lean years and even lean decades with open wallets and enthusiasm. But with college basketball bringing March Madness to Buffalo again next week, thoughts and conversation inevitably turn to the years before the Bills and Sabres when “Little Three” games between Niagara, St. Bonaventure and Canisius were the city’s most riotous sporting events, tickets to Saturday night basketball doubleheaders at Memorial Auditorium were Western New York’s hottest ticket, and Buffalo was universally recognized as one of America’s great college basketball towns. Up until World War II, the most ferocious rivalry among the Little Three schools was in football, but as football became too costly, each of the schools had disbanded its team by 1951. Once students and alumni had only hoops to hang their hats on, the heated rivalries burned even brighter, and all of Buffalo came along for the ride. 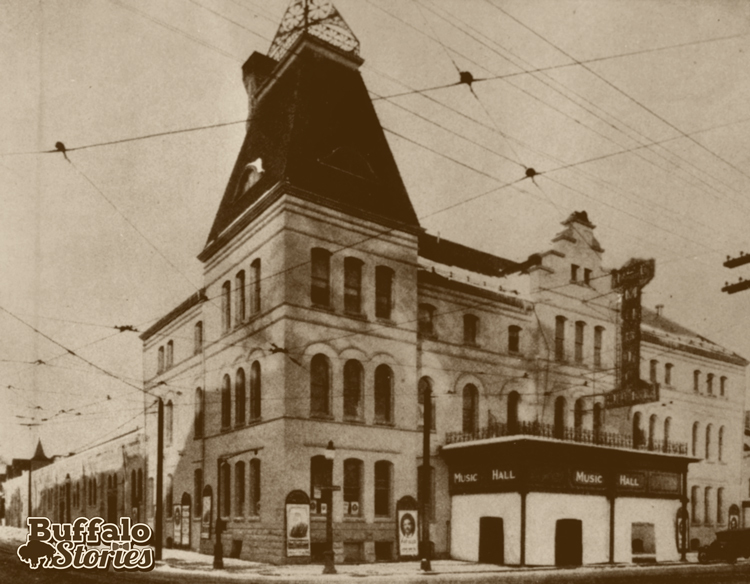 The venue was an upgrade in size from Canisius’ usual home court at the Elmwood Music Hall, and the ability to fill the larger space showed basketball’s honing in on boxing as one of Buffalo’s favorite spectator sports. But there was still room for improvement in those early years. The Broadway Auditorium was larger, but not regulation. Notre Dame’s coach George Keogan almost refused to play on the barn’s concrete floor, but with 5,000 spectators watching, he was assured by a Canisius official that it was “soft concrete” and the game went on with a laugh. 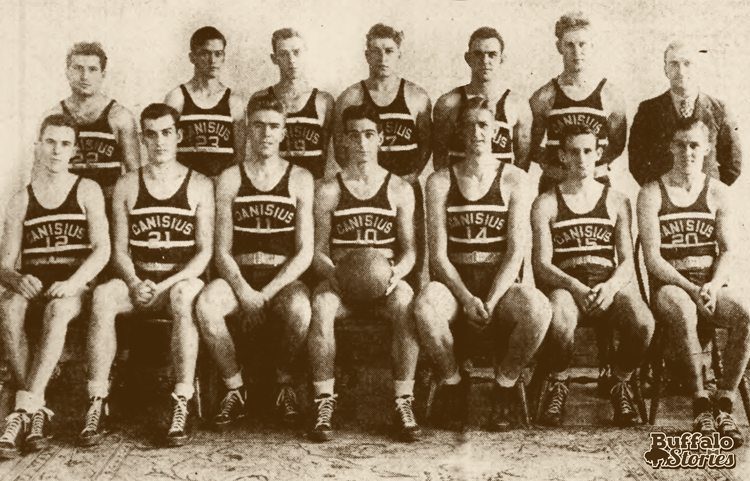 As World War II dawned, and continuing after the war, Canisius, Niagara and St. Bonaventure each became competitive and started attracting some of the country’s best teams on the way to or from those big dates in New York City. 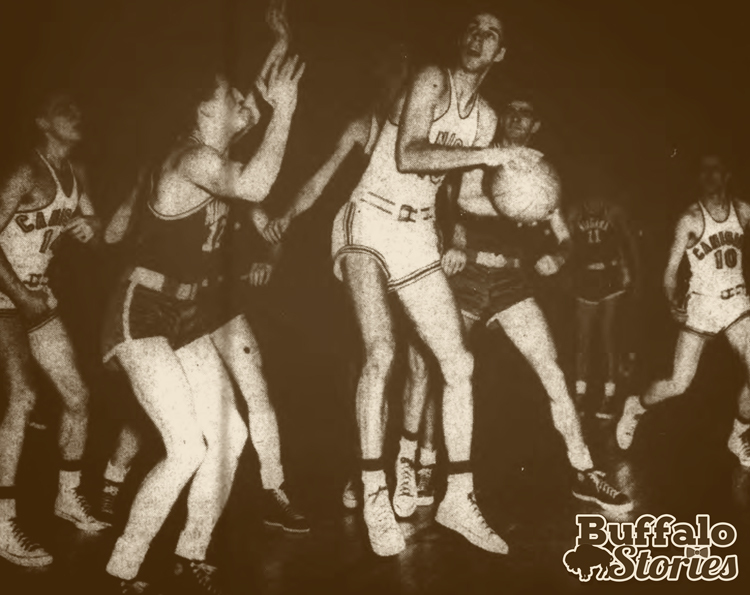 It was a confluence of great basketball, great fans, great gates and Memorial Auditorium’s opening in 1940 to make all parties involved excited for college basketball doubleheaders in Buffalo. Through the early ’50s, the Aud was guaranteed 10,000 spectators, usually with more filling up standing room. Then things waned. 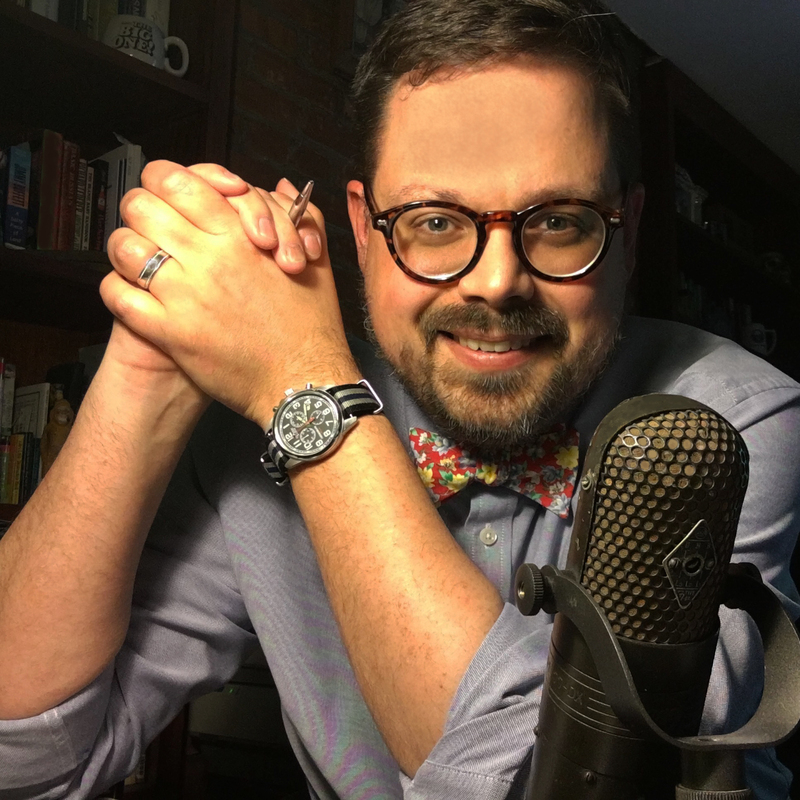 There was a point-shaving scandal with several big New York City schools. Pro-basketball started catching on in New York in the scandal’s wake, and college basketball as a whole took some lumps. The local series was not without hiccups even through the glory years. The late Buffalo News Sports Editor Larry Felser, himself a Little Three athlete as guard on the Cansius football squad, said that pettiness between the schools was as much a part of the tradition as the games themselves. It was a critical hit was when, in 1958, Niagara pulled out of the Aud doubleheaders. 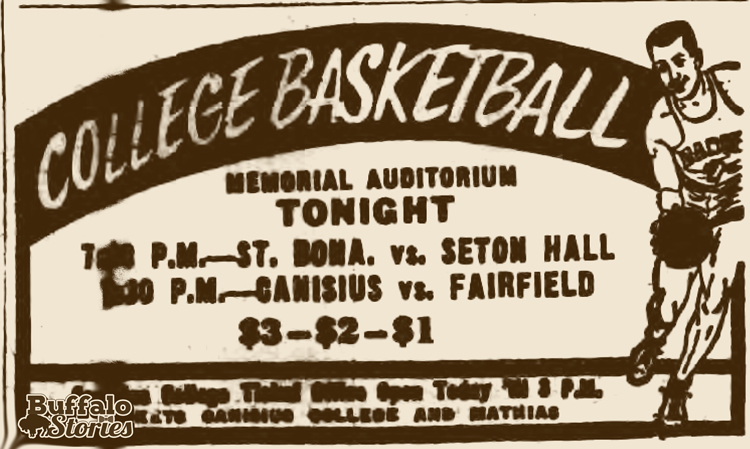 A few years later, Bona opened the Reilly Center and trips to Buffalo became less important. In 1965, then-Ellicott District Councilman James D. Griffin wrote letters to the presidents of Niagara, Canisius and St. Bonaventure inviting them to a Common Council discussion on the use of the Aud and the Rockpile. 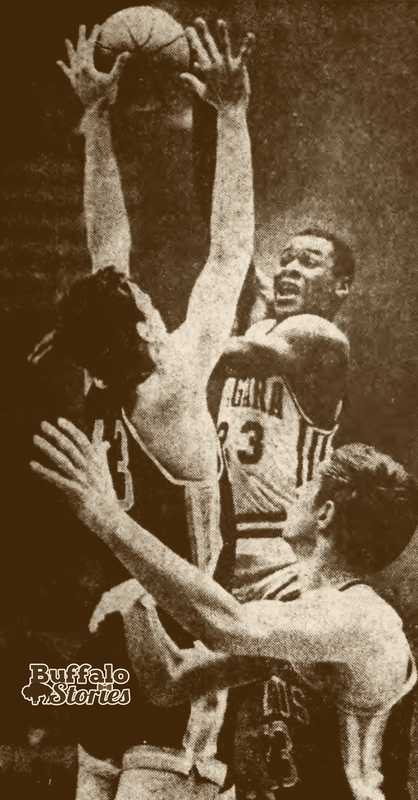 College basketball’s last great kick at the can came in the end of the 1960s, and it had to do as much with great players as schools setting aside differences. 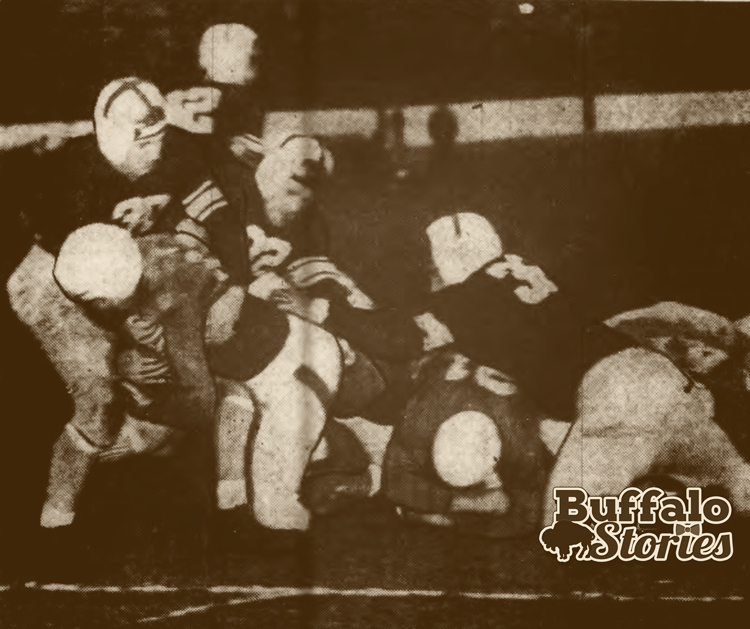 Each of the Little Three had big stars to help capture the sports passions of Buffalo. 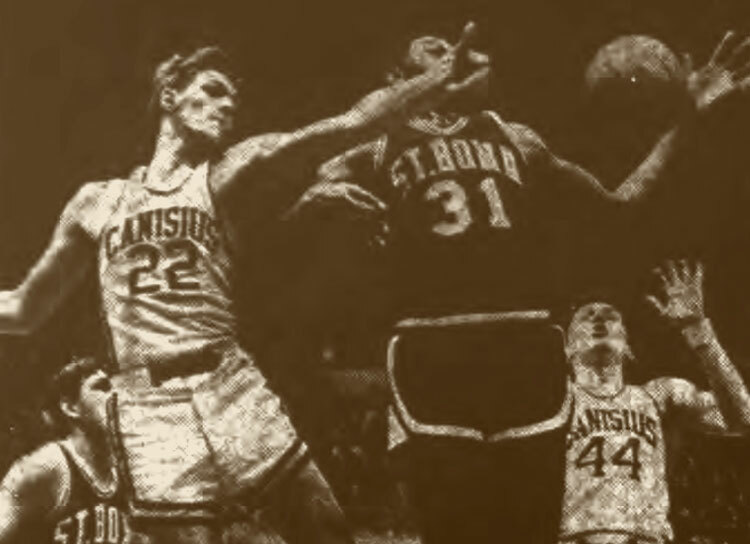 After starring for Black Rock’s Cardinal Dougherty High School, Tony Masiello went on to star for Canisius College before being drafted by the Indiana Pacers in the 1969 NBA Draft. Bennett High’s Bob Lanier led St. Bonaventure to an NCAA Final Four bid in 1970, before a Hall of Fame pro career with the Pistons and Bucks. And before he ever shot a basket for Niagara, Calvin Murphy — who remains the shortest player ever inducted into the Basketball Hall of Fame — was entertaining Bills fans with his champion baton-twirling during halftime breaks at the Rockpile. The energy and excitement these three brought to the court and to the old Little Three rivalry was just enough for Buffalo to win an NBA franchise in 1970. The Braves were wildly popular until the end of the season, when top players were traded away and the franchise was sold and moved out of town. But with the huge following of the pro Bills and Sabres, it was too late to rekindle the glory days of the Little Three. An attempt was made in 1996 with the opening of then-Marine Midland Arena, adding UB to make the Big 4. While there was some excitement among fans, it was the schools that put a damper on the idea by not cooperating in scheduling games. “Does this sound like something out of a 35-year-old time capsule or what?” wrote Larry Felser on one of those opinionated days in 1997.